Driving an electric vehicle can have significant mental health benefits and could make you feel calmer, less stressed and happier behind the wheel. That’s according to a study undertaken by LEVC (London EV Company) in conjunction with academics from the University of York, released as part of Mental Health Awareness Week. In an experiment designed to monitor metal health activity of drivers in both the new LEVX TX electric taxi and the previous diesel model, Dr Duncan Williams subjected four London cabbies to a series of trial drives. The aim: to find out if the quiet cabin of an electric vehicle had an effect on the wellbeing of the hard-working taxi drivers. 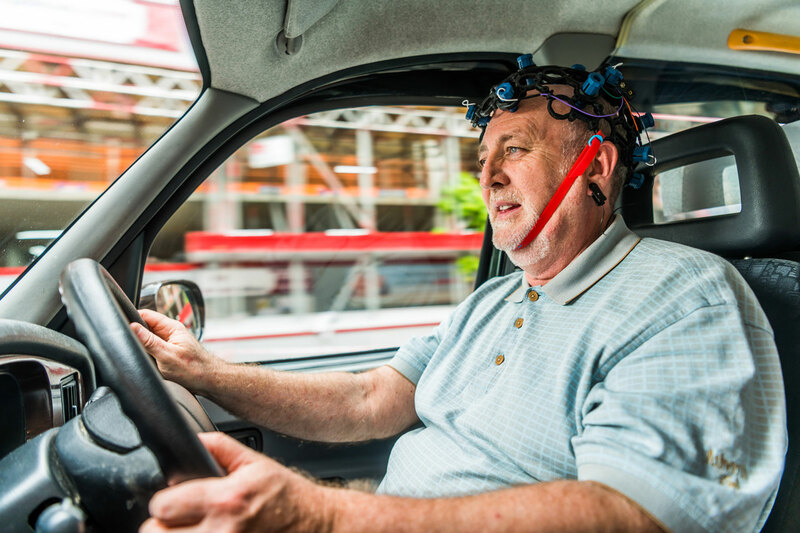 The electroencephalogram – or ‘brain cap’ to us non-scientific types – monitored brain activity over a set route through London, providing insight into the differing mental states between drivers of electric and diesel vehicles. The caps do little for your street cred behind the wheel, but they might help lower the stress levels on the streets of the capital. The results were pretty conclusive, with drivers of the electric vehicles showing a higher level of concentration, particularly when waiting at traffic lights. Heart rates were found to be considerably less variable than in the diesel taxi, while drivers reported increased happiness. Clap along if you feel like happiness is the trurth. Dr Duncan Williams (no relation to Pharrell) said: “This study proved hugely interesting. The drivers all reported being calmer, less stressed and happier in the electric taxi than in the old diesel model. Traditionally those feelings would correlate with more Alpha brain waves, which are a good indicator of relaxation. But when we looked at the data, the drivers’ showed more Beta brain waves, an indicator of mental activity and attention. The all-new TX is powered by an advanced electric powertrain with a small back-up petrol generator, giving a range of up to 377 miles including an all-electric range of 80 miles. The TX also boasts USB ports, on-board wifi, a pananoramic roof and a host of active and passive safety systems. Cabbies could save £100 a week by switching to the new, greener black cab. That’s the claim made by the London EV Company (LEVC), the firm behind the TX range-extender taxi. The TX features a battery-electric powertrain paired with a small petrol generator to provide a 400-mile range, including 70 miles of zero-emissions driving. During development, the TX has been tested in the heat of the Arizona desert and freezing temperatures of the Arctic Circle. So it should be fine handling a trip ‘south of the river’ at 3am. LEVC will start taking orders in August 2017, which is perfect timing given Transport for London’s decision to ban new diesel taxis from the capital from 1 January 2018. All taxis presented for licensing for the first time will need to be zero-emissions capable and emit up to 50g/km CO2 with a minimum 30-mile zero-emission range. Crucially, a zero-emissions capable taxi must be petrol if an internal combustion engine is used, signalling the beginning of the end for diesel-powered black cabs. TfL will provide grants of £3,000, on top of the Office for Low Emission Vehicle’s plug-in car grant, towards the purchase of a zero-emission capable taxi from mid-2017 to 2020. Geely, which owns Volvo, has invested £325 million in the LEVC TX and has used the unveiling to announce details of an initial order for 225 vehicles from RMC, one of the Netherlands’ largest taxi operators. The company will also act as importer for the Netherlands. Unsurprisingly, given the Volvo connection, the TX has been designed to be one of the safest vehicles on London’s streets, and the interior will be familiar to anyone with experience of the Swedish firm’s current range. 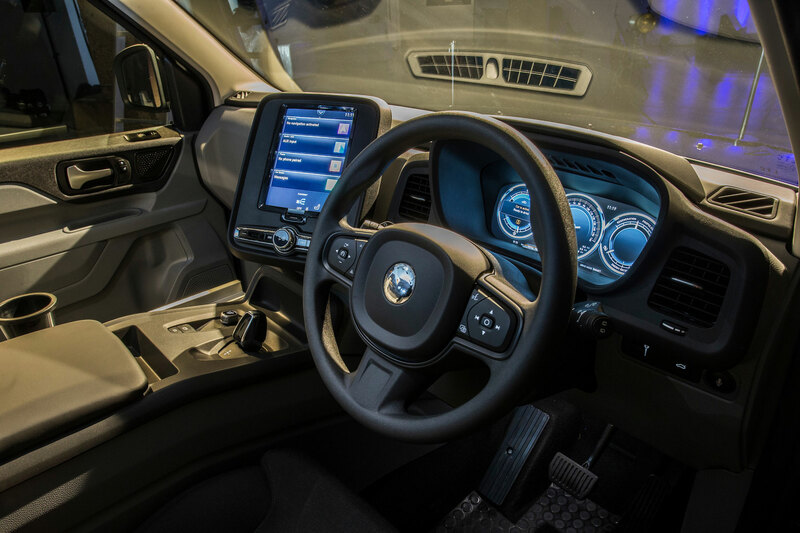 The larger, portrait-style central touchscreen is present, along with Volvo’s digital instrument cluster, steering wheel and switchgear. The cabin looks a world away from the taxis of old. The rear-hinged passenger door opens 90º to provide easy access and exit for passengers, while aluminium bonding has been used to offset the weight of the battery, while maintaining vehicle strength. LEVC is also promising less vibration and noise in the cabin, along with smartphone charging points, on-board wifi and space for six passengers. A retractable integrated ramp will make it quicker and easier for drivers to load passengers in wheelchairs. 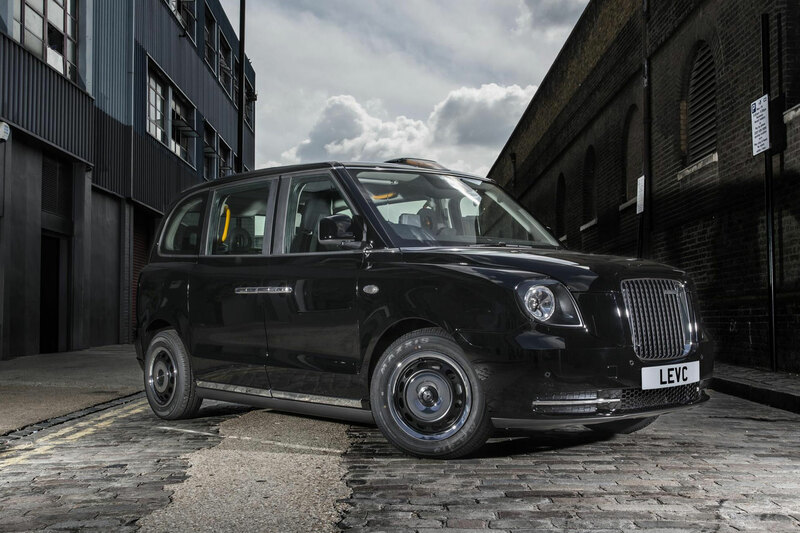 But LEVC is keen to point out that the driver will feel just as at home in the TX, with CEO Chris Gubbey saying: “From our heritage as the manufacturer of the iconic London Taxi, we have unparalleled insight into the needs of commercial operators. Filsell also raised concerns over the charging infrastructure, although 80 dedicated charging points are expected to be installed by the end of this year. For its part, LEVC said the expected increase in vehicle finance will be offset by the lower running costs, along with less maintenance. From 1 August, LEVC will be providing personalised purchase propositions to drivers, commencing with those who have registered an interest via the TX website.